Project Description: Along the Allegheny River in Oil City, PA, twenty-three new 20-feet long pontoons were fabricated and installed on existing cables in 2013 to replace the original pontoons installed in 1982 as part of an ice control project designed by the Army Corps of Engineers to prevent ice jams from forming near the mouth of Oil Creek just downstream of the project location. 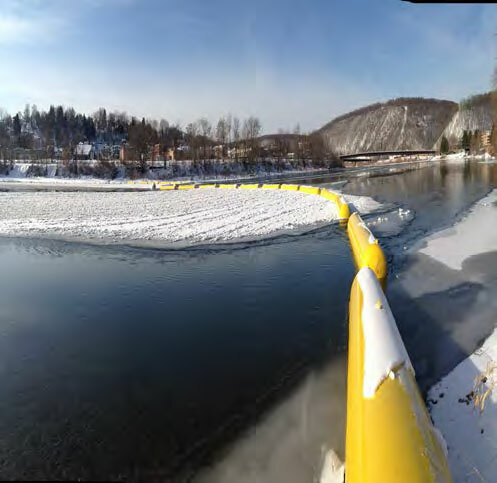 The purpose of the ice boom is to help form a stable ice cover upstream, thereby providing open water for ice break-ups from Oil Creek to flow unimpeded into the Allegheny River, which prevents flooding on Oil City’s Northside Business District. 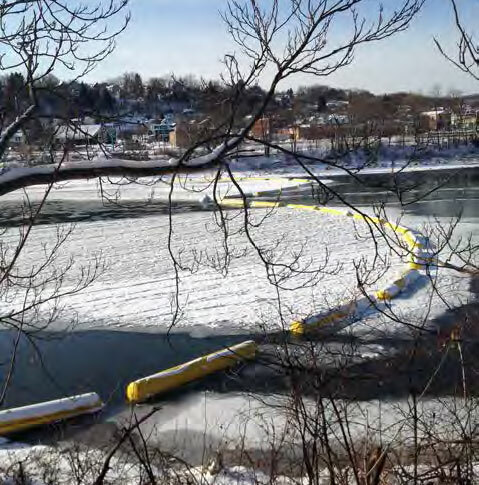 Issues Encountered: During the first winter with the new pontoons in place, one of the pontoons broke away and floated downstream; the City was able to retrieve it. One of the four existing cables, which hold the pontoons in place, broke also, and the City is now trying to secure funds to replace all four cables. 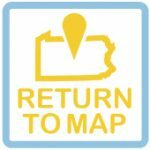 Funding Stream(s): The project was funded by the Hazard Mitigation Grant Program using Federal and State monies in the total amount of $510,960.